PRICE REDUCED!!! SELLER IS MOTIVATED SO BRING ALL OFFERS TODAY! SELLER IS ALSO WILLING TO LEASE FOR $2,000 PER MONTH. 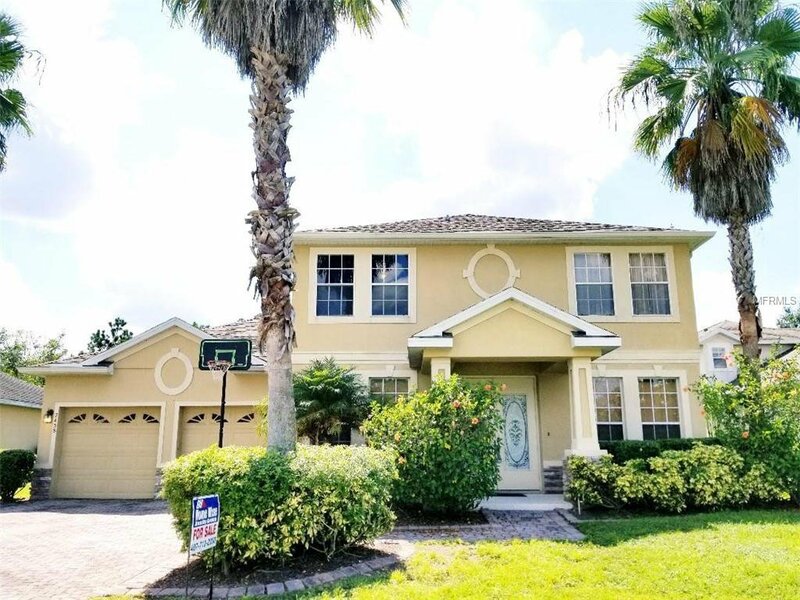 A beautiful home in a gated community and in a desired location close to the Airport and Lake Nona with tons of amenities for the whole family awaits you today! This home features: a pavered driveway; a huge master suite with a sitting area, covered front porch; Brazilian tiger hardwood flooring and tiles on the first floor and carpet on the second floor; ceiling fans in all bedrooms; granite countertops and stainless steel appliances in the kitchen which will convey; a great room, formal living room, formal dining room, and an inside laundry/utility room; an oversized guest room on the first floor next to a bathroom with a door to the screened lanai which sets back from the neighbors so there is privacy; conservation area across the street in the front and no homes in the back; private cul-de-sac location; walking distance to Lake Vista. The Vista Lakes community offers access to resort style pools, a fitness center, playgrounds, tennis courts, basketball courts, a clubhouse, a fishing pier, and more! Please note that the listed CDD fee is already included in the annual tax bill from Orange County. Listing courtesy of HOME WISE REALTY GROUP,INC. Selling Office: PARTNERSHIP REALTY INC.